Natalie Beabella’s debut album, No te doy más (2012) includes some of the most talented musicians in the genre in Sweden; Magnus Lindgren (Soul Enterprise, Batucada Jazz, Herbie Hancock), Liliana Zavala (Fever Ray, Batucada Jazz), Santiago Jimenez (Mynta) and Gunnar Thullberg (Calle Real, Hoffmaestro) are all contributing on No te doy más. The result is a creative blend of sounds from both Latin American and Scandinavian music. No te doy más is a description of Natalie Beabella’s first eight years living in Sweden with insights about love, self respect, empathy and freedom. 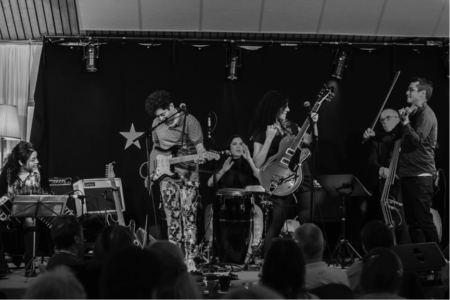 The acoustic instruments: double bass, percussion, violin, guitars, flute, trumpet and bandoneon, together with Beabella’s musical ideas, generate a soft and organic sound without losing the edge. 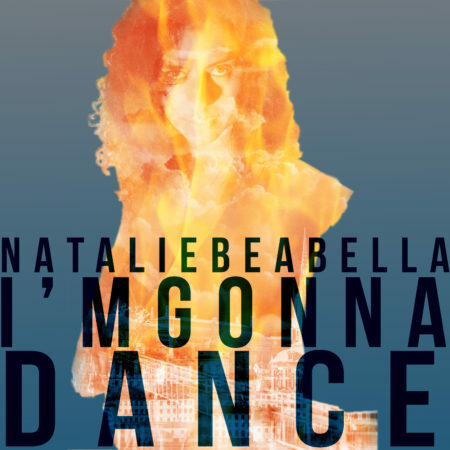 In response to a musical curiosity and in order to transmit her feelings aptly, Natalie has written the songs in a mash of styles: Pop, candombe, cumbia, jazz, tango, bossanova and reggae – some even with a touch of Arabic sound. One could call it World Pop. Musical references leads to artists like: Lila Downs, Rickie Lee Jones, Manu Chao, Melingo, Lhasa, Calexico, Café Tacuba and Sting. Senaste singeln ”I’m Gonna Dance” lades i A-listan på P2 Världen. Natalie, born in 1977, is a guitarist and singer from Buenos Aires, Argentina. Early she decides to become an educated musician, despite of her parents advice. In 2001 she graduates with a degree in jazz music. Moving on to studying arrangments and composition at the former Berklee college of music (Buenos Aires). At the age of 25 she moves to Stockholm, after a few years in Sweden her interest came to focus more and more towards music production. She decides to start her own production company called ”El Sol y la Luna” in 2009. Live, Natalie Beabella brings her individual sound with warmth, closeness and joy on any occasion, performing together with three to five musicians depending on the show.